If you have an associate that is interested in learning more about Marin Builders Association, all we need is a little information and we’ll do the rest! It’s easy! You can submit the simple form below or download, complete and return our printable version. 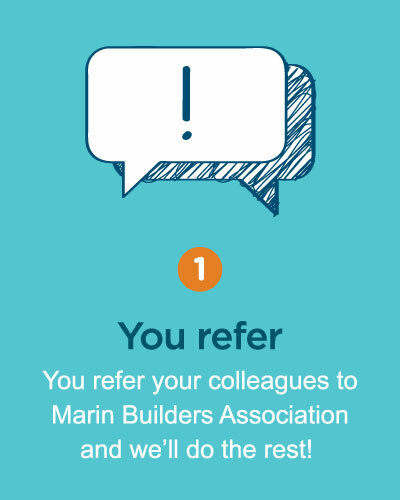 If you have an associate that is interested in learning more about Marin Builders Association, all we need is a little information and we’ll do the rest! It’s easy! You can submit the simple form below or complete and return the attached printable form. 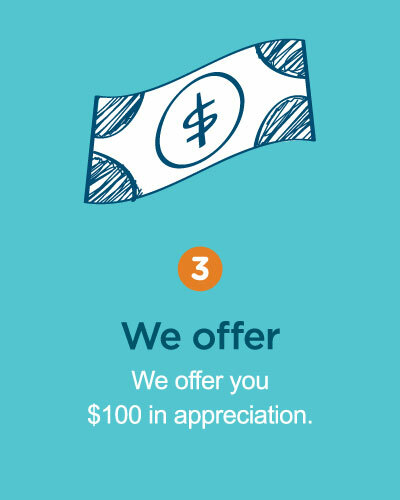 If the referred business joins Marin Builders Association, we will waive their application fee of $100 as a courtesy to them and we will offer you, the referring member a $100 bonus in appreciation. This bonus can be applied to outstanding membership dues, pledged as a donation to our Scholarship or Adopt-A-Highway Programs or received by cash/check. As an additional thank you, referring members will be highlighted in our newsletter. A completed referral form for each prospect is appreciated so that we can track the referrals properly. There is no limit to the number of prospects that can be submitted. 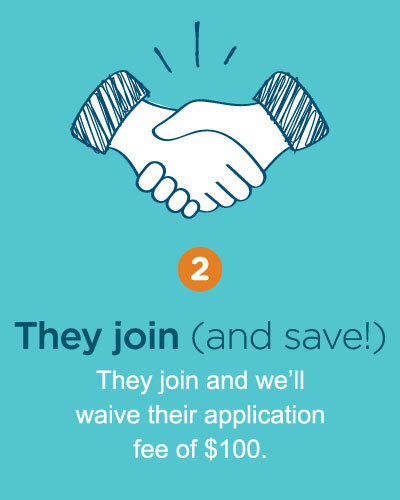 The bonus will be paid once the prospective member’s application is received and processed. The person making the prospect referral must be a current member of the Marin Builders Association. If a prospect is submitted more than once, we will honor the member who turned in the referral form first.